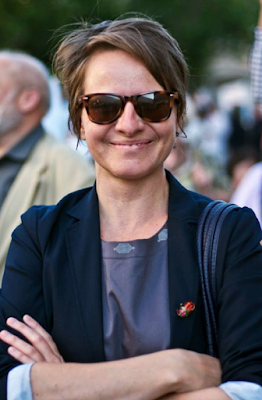 Emily Black Fry is the Lead Interpretation Planner at the Peabody Essex Museum (PEM) in Salem, Massachusetts. 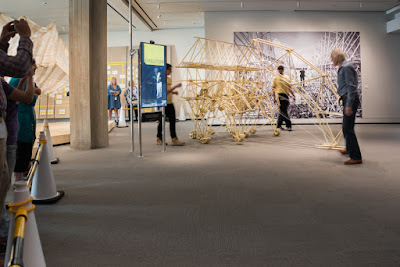 Emily was kind enough to be interviewed for ExhibiTricks about the amazing new exhibition entitled "Strandbeest: The Dream Machines of Theo Jansen" that will be on view at the Peabody Essex Museum from September 19, 2015 until January 3, 2016. What inspired the Strandbeest exhibition at PEM? I have to first emphasize Strandbeest: The Dream Machines of Theo Jansen is one of those exhibition projects museum professionals dream of working on. Dutch artist Theo Jansen combines the practices of art, science, and engineering to construct Strandbeests (beach animals), wind-walking creatures developed through a rigorously trans-disciplinary creative process. His works allow (or in many ways insist) on structures that burst (or crawl) out of the typical exhibition box. 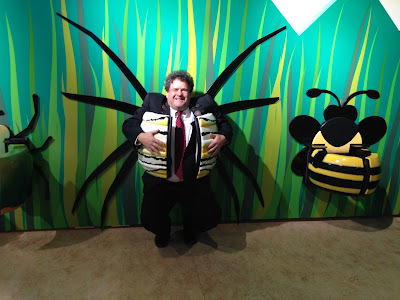 The roving nature of the Beests themselves invite opportunities to go outside of the museum and into communities, while also encouraging touching, close looking, and constant locomotion within the Museum. 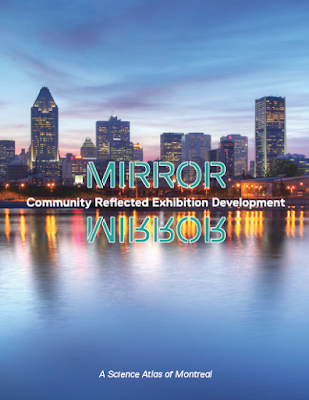 The work itself demands a new kind of exhibition structure and experience, which is why it was such an exciting project to tackle as it poses an array of creative challenges. 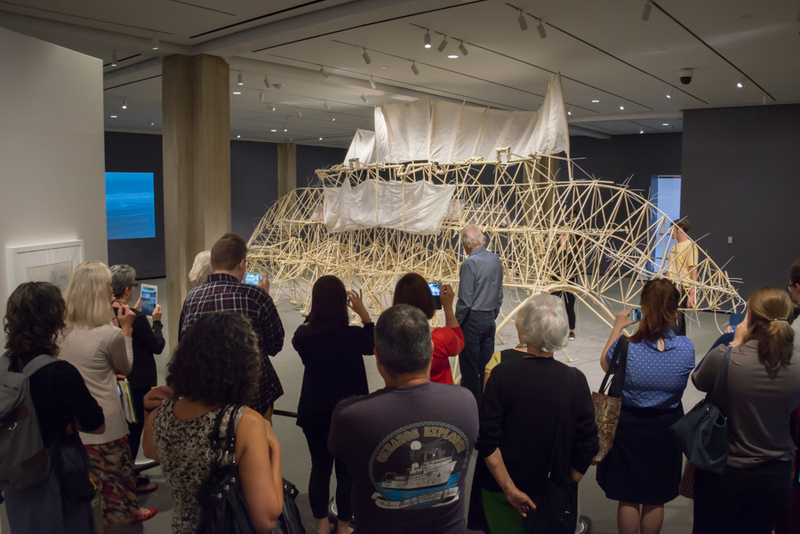 Strandbeest doesn’t fit tightly into a traditional art museum exhibition box, and that’s why I believe our audiences are responding so well to this show. The thematic structure for Strandbeest: The Dream Machines of Theo Jansen is inspired by dreaming— experiences that are imaginative, non-linear, provoke curiosity, and blend the familiar with the unfamiliar. 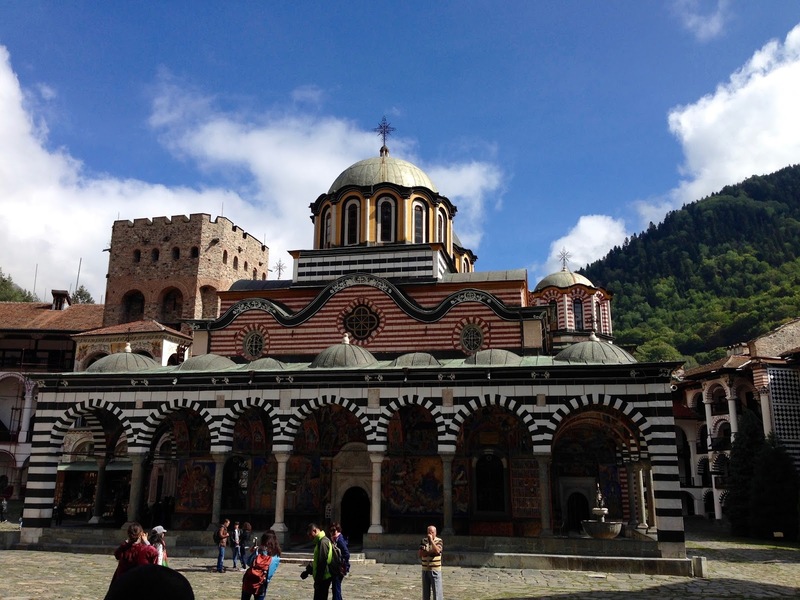 It includes a range of paced experiences involving both the intimate and communal. At its core, this exhibition thrives as a kinetic, active, nomadic, and magical experience that draws visitors closer to Theo’s world. Each experience zone, as we describe them, embodies a distinct level of audience engagement and intimacy while retaining unique characteristics of Theo’s dream: to create a species that will live long after he is gone. To transport audiences into Theo’s world, the exhibition features an array of photo murals and photographs by Lena Herzog, a renowned photographer who has been intimately following and documenting Theo’s work for seven years. Her photography which encompasses everything from Theo’s hands working with PVC, to Beests walking in the wind, to Theo’s work environment, enabled us to create ethereal texture throughout the exhibition. In addition to the drool-worthy engagement with the Beests, the project team also had another museum-dream opportunity – we prototyped the exhibition at Miami Art Basel in December 2014 in partnership with Audemars Piguet. This was an exciting experience to actually (really, it happened!) experiment with how to incorporate constant movement interactions and demonstrations in an exhibition experience while also allowing for intimate close looking and space to let curiosity wander. We learned many things through this prototyping phase: from caring for the Beests, to how to effectively create space for interactivity and movement. All of which informed the final presentation at the Peabody Essex Museum. We realized when introducing audiences to Theo’s work in Miami that Theo’s mythology and role as a storyteller was a critical element for audiences to engage with the creation and evolution of the Strandbeests. We realized the best way to convey Theo’s story wasn’t through text panels or traditional annotated labels, but rather through film moments for audiences to hear Theo’s perspective on a specific topic or theme. At various points in the exhibition audiences encounter a life-size digital version of Theo animated by proximity screen sensors. In these various zones, which we call “Theo Moments”, he tells the origin story of the Beests, how the Beests are made, how they infect and reproduce through the minds of other makers, and ways in which the Beests have evolved over the past 25 years. 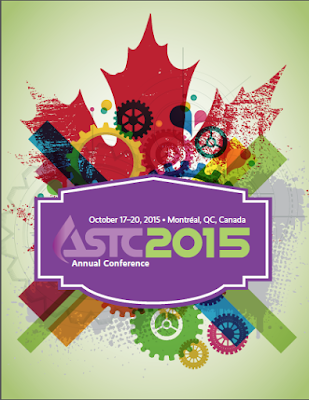 Can you tell us a little bit about the logistical back-story of the show? The exhibition itself has lots of moving parts – literally! It features 7 full-size, large Strandbeests, a field of parts or evolutionary memories as Theo describes, dynamic photography by Lena Herzog, sketches by Theo, and examples of Hackbeests – beests made by other makers inspired by Theo’s work. Two beests named Animaris Ordis, the fundamental walking unit for all Beests, can be pushed and pulled by visitors in the gallery—this is a wildly popular aspect of the exhibition and it offers such a memorable experience for our audiences. Additionally, we run movement demonstrations during the day where we fill the wind stomachs (plastic bottles) of Animaris Suspendisse, Theo’s largest Beest at 42 foot long, or Animaris Umerus Segundus with compressed air and they can be seen walking on their own for a few minutes. 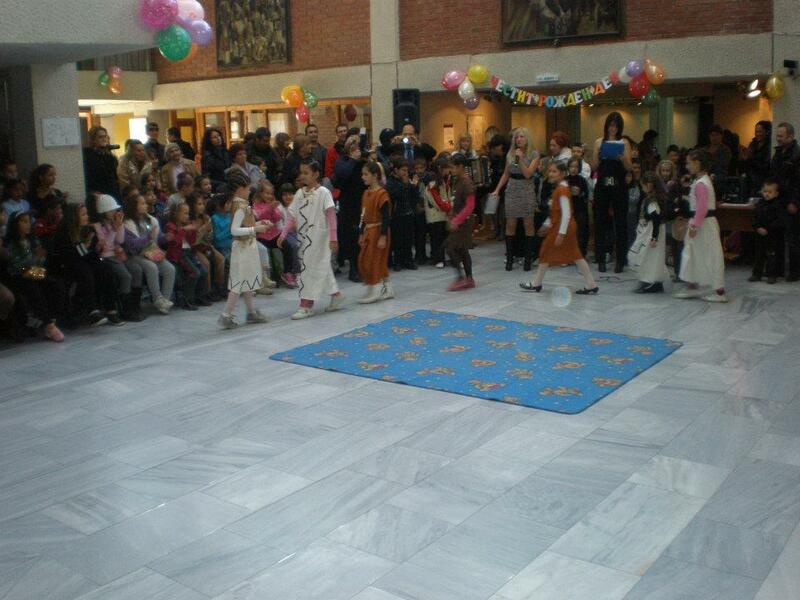 Our goal for the exhibition experience was to surprise audiences. 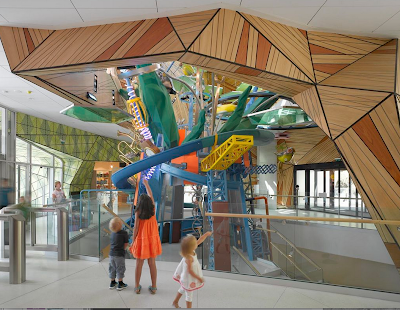 We wanted them to encounter an unexpected, unconventional, and highly experiential environment where elements seem oddly familiar and interactive. We also wanted audiences to feel immediately welcome to take risks, experiment, explore, and engage in active dialog. Gathering spaces with multifunctional seating in each experience zone allow for groups to orient and be social. Theo says everything around us is merely an invitation to observe. The exhibition experience captures this spirit by inviting audiences to see the Beests through dynamic uses of light, sound, and touch. The spirit of Theo’s imagination is illuminated throughout each experience zone, specifically with the use of Theo Moments, films showcasing Theo’s storytelling. Audiences will notice that each has a specific mood, pace, and level of engagement. All interpretive text and interactives are open-ended and offer multiple perspectives and questions encouraging a wide range of responses. Perspectives illuminate the spirit of imagination and move fluidly between art and science. Projections, audio, video and innovative uses of multi-touch technology are employed to animate the environment of the Beests and reveal intersections of elements that investigate his creative thought process. Some additional information about the exhibition and artist: Theo Jansen was born in 1948. He was raised in the beach-side town of Scheveningen, in the Netherlands, and studied physics at the University of Delft. 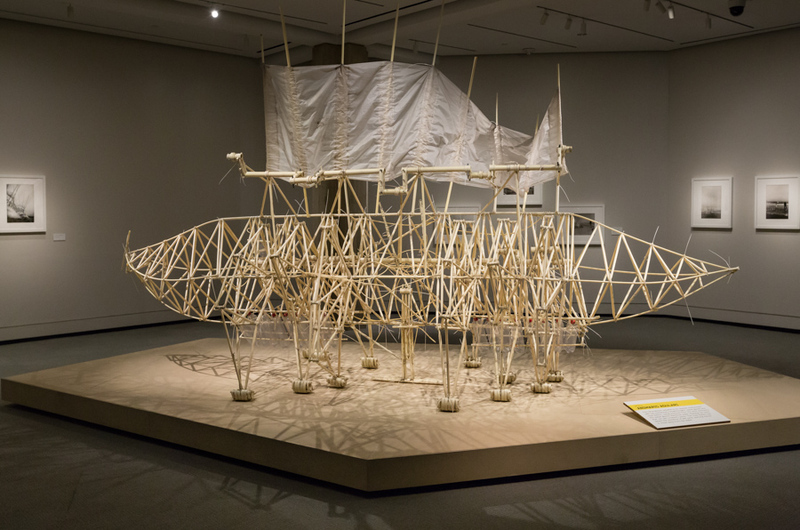 Jansen created the first Strandbeest (“beach animal”) in 1990 and has been working on their evolution ever since. Theo works with PVC, plastic tubing, to move and adapt Strandbeests to their environment in a lifelike way. He continually finds new ways to use this “artistic protein” to evolve more complex and resilient Beests. 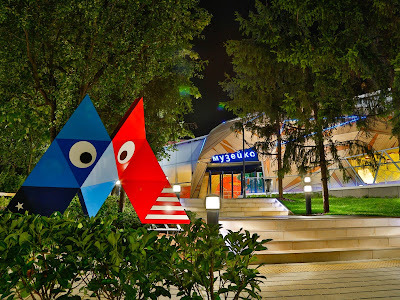 This exhibition is organized by the Peabody Essex Museum and will travel to the Chicago Cultural Center in Chicago, Illinois and the Exploratorium in San Francisco. This is the first U.S. tour of Theo Jansen’s Strandbeests. What makes the Strandbeest show different from other shows at PEM? PEM often takes a experiential point of view when it comes to exhibition design, but this project in particular privileges more than ever a sense of the imaginative and experiential aspects of Theo’s work. The design of the exhibition itself is multifunctional, multidisciplinary, and multisensory. We decided to reshape our approach to traditional curatorial text and instead bring audiences into Theo’s world -- we produced video screens titled “Theo Moments." This exhibition encourages us to imagine how we can deliver information about Theo’s process and psyche in unconventional ways. Location-activated screens highlight Theo’s dynamic storytelling touching on thematic points in the exhibition (origin story, production, reproduction, evolution). We also learned during our presentation at Miami Art Basel the importance of having human interaction within the space, whether it’s someone listening to visitors share their fascination with the beests or helping facilitate the movement of Animaris Ordis, the basic walking unit of the Strandbeest which can be pushed and pulled by anyone. With this in mind we set out to hire a rare breed of individuals to work the gallery – we put out a call for Strandbeest Interpreter/Operators. This team offers not only constant care for the Beests, but also facilitates movement demonstrations of the larger Beests and engages with audiences during all open hours. We managed to hire an exceptional group of Interpreter/Operators who come from equally diverse backgrounds – some are sculptors, engineers, bike mechanics, and biology enthusiasts. But they have one thing in common – they are complete fans of Theo. It’s a dream job for them. What was it like working with Theo Jansen? We’ve had the pleasure at PEM to work with several amazing and kind artists, but I must admit Theo is one of the most thoughtful and creative artists around. I met him when we presented Strandbeest in December 2014 at Miami Art Basel in partnership with Audemars Piguet and I became deeply fascinated about how he takes time to listen and speak to visitors. 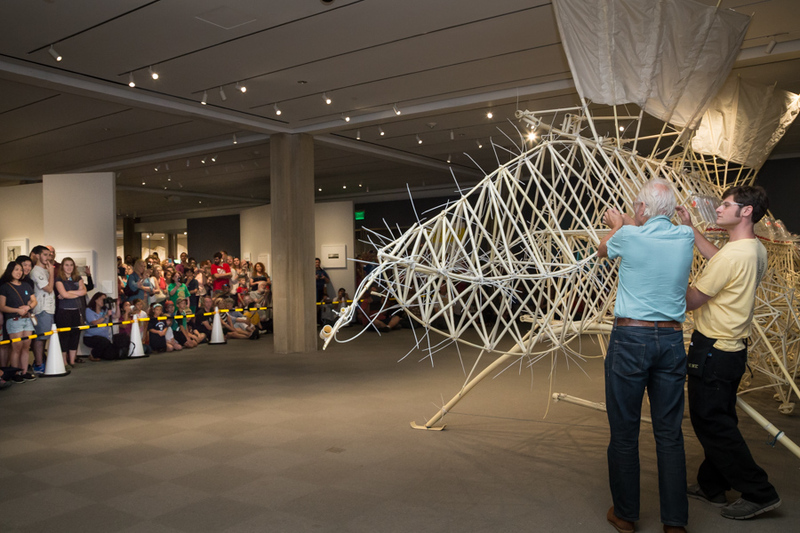 He truly is thankful for all of his followers and makers who have kept the Strandbeest spirit alive. He’s a true tinkerer at heart, so even leading up the exhibition he was adding new evolutionary features to one of his newest Beests, Animaris Suspendisse; he added a nose feeler and “shove sticks” at either end of the Beest. When the nose feeler detects fluffy or hard packed sand one or the other shove stick pops out, drags on the ground, and the Beest turns either towards the water or towards the dunes. 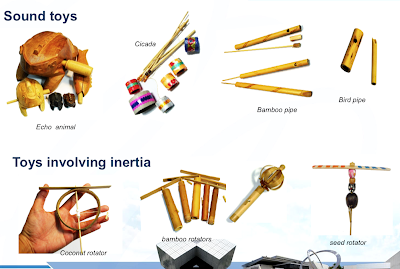 I love that his goal is still top of mind – how to keep improving the Strandbeest for survival. What special events or off-site events will happen in conjunction with the exhibition? Those who are familiar with Theo’s work probably first encountered his Beests online via YouTube. If you simply google Strandbeest you’ll see endless amounts of footage of Beests self-propelling down the beach where Theo works on the coast of Schevenigen in the Netherlands. We wanted to bring the Beests out to communities in New England and organized a series of pop-up events throughout the area as a preview for the exhibition. 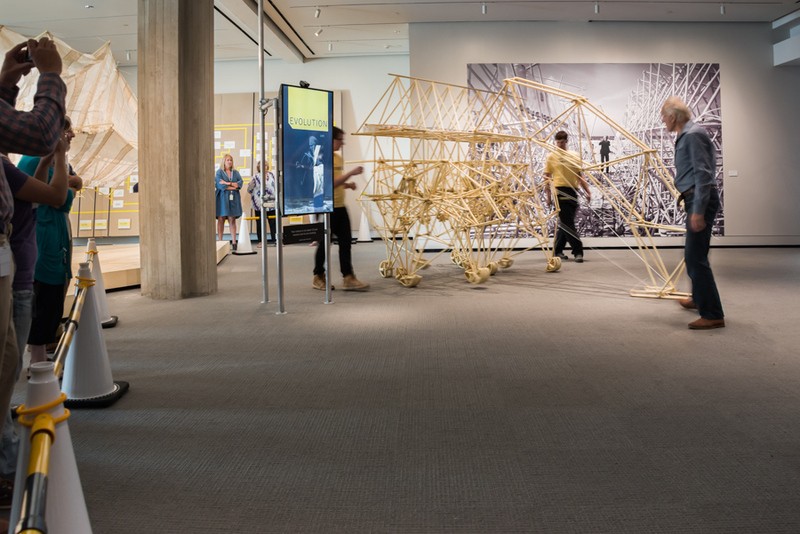 Tell us about the interactive and hands-on elements in the Strandbeest show? The show is almost entirely interactive -- that’s what’s so exciting about Theo’s work. Harnessing Theo’s spirit for rigorous experimentation, audiences will explore through both facilitated demonstrations and unfacilitated interactives the systems and materials that enable the Strandbeests’ movement. For example, we isolated and presented each of the main systems of the Strandbeest into three interactives. 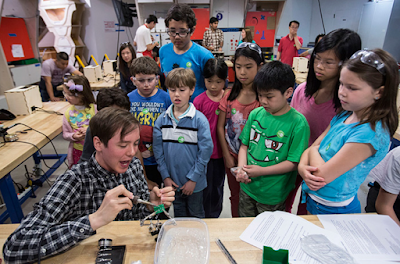 Audiences can pump the wind stomachs using a bike pump to get a sense for how they work similar to a pneumatic computer. We also have the leg system available for visitors to observe the singular motion generated by Theo’s 13 holy numbers. 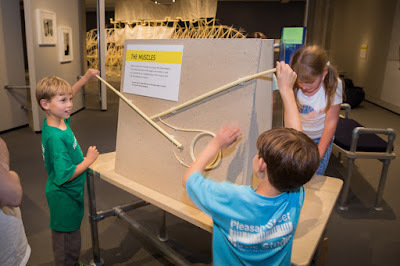 And, lastly, we featured the Strandbeest muscles or piston system for visitors to experience how the tubes lengthen which allows for maximum movement. 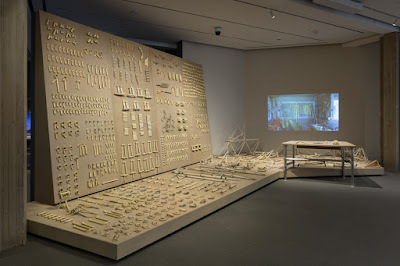 Additionally, one aspect of the exhibition focuses on a massive field of parts Theo created during his 25 years working on his Strandbeest dream. He calls his "fossils" evolutionary memories of countless hours of trial and error. Within this field of parts—for example the first crank shaft he made can be found or parts where he experimented with tape and wood joints—we created an interactive that allowed audiences to hold a fossil and upon placing it on a target it animates a projection showcasing Theo’s studio. Theo walks into the screen and begins handling the object in your hand and telling you a story about the fossil itself. We also commissioned a trans-disciplinary group of key opinion leaders to “platform” around ideas like design, evolution, beach erosion, literary connection, biology and the environment. Key opinion leaders such as Adam Savage (Visual Effects Artisan and Host of Mythbusters), Lawrence Weschler (writer), Lena Herzog (photographer), Michael Friedman (horologist and historian at Audemars Piguet), and Paola Antonelli (Senior Curator, Department of Architecture and Design, MoMA) were interviewed to discuss issues in their own work and how Strandbeests intersect with it. These short evocative interviews can also be seen in the exhibition. What was the most interesting thing you learned about Strandbeests while preparing the show? 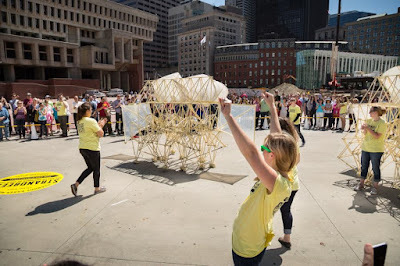 One of the most interesting things I’ve come to realize is that Strandbeests have become a nucleus for unexpected communities of communities to connect and comingle. If you Google or follow #strandbeest you’ll encounter gangs of global thinkers and makers being inspired by Theo and his open-source sensibilities (he’s released on his website the genetic code of the Strandbeests so you can hack your own). These sculptural creatures have become a PVC prism for considering an array of contemporary ideas that smudge lines between disciplines whether it’s biohacking, evolutionary theory, quantum design, or even the craftsmanship of horology – Strandbeests offer a fresh lens for thinking about these new ideas. How might this show impact future exhibitions at PEM? 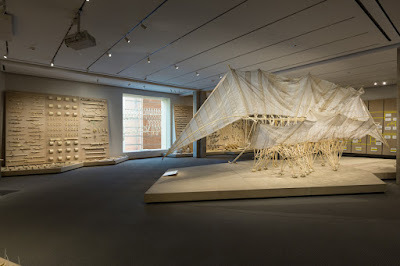 Strandbeest has infected the Museum in many ways exciting ways. 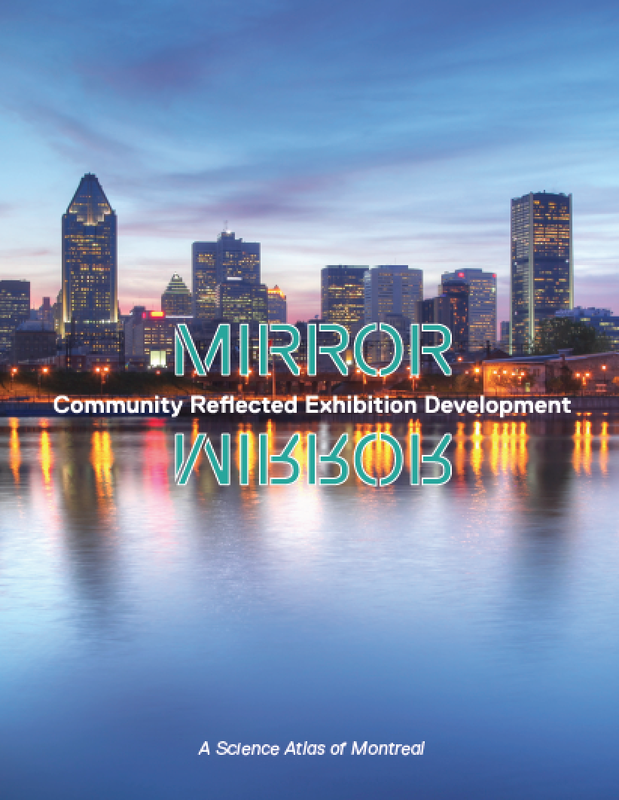 It has impacted how we worked both internally as a team since this project involved a healthy amount of cross-departmental collaboration, as well as influenced how we approach experiential exhibitions in general. This open-ended approach to an exhibition that focuses on the pacing of experiences and pays close attention to the emotional experience of the audience is something the Museum has been working on for a long time, but you really see the integration of design, media, and the work itself coming together successfully in this project. I think this exhibition has also broadened our ability to think about how voice is privileged in the exhibition – is it as shared voice between the curator, artist, and visitor? How can we communicate and tell stories without any text panels? These were some of the creative challenges we imposed on ourselves and we are extremely excited to see how well it is being received by our audiences. Do you have a favorite Strandbeest? Ah, now this is a tough one. Whenever Theo is asked this question he succinctly responds with “the one I’m dreaming of next”. With that said, my favorite Strandbeest is twofold. It’s the one in Theo’s mind he’s planning to work on in the upcoming season, as well as the Beests reproducing in the minds of Strandbeest makers and hackers. But, if I had to pick a favorite in the exhibition it has to be Animaris Adulari. This petite Beest is one of the first to be adapted with a sweat system, a lubrication system to flush out the sand and loosen the joints. But, aside from the evolutionary importance of Adulari, this little guy just puts a smile on my face -- it assumes a presence like a pet dog or cat in your house -- you just want to pet the plastic zip ties as you would whiskers. What do you want visitors to walk away with after seeing the show? 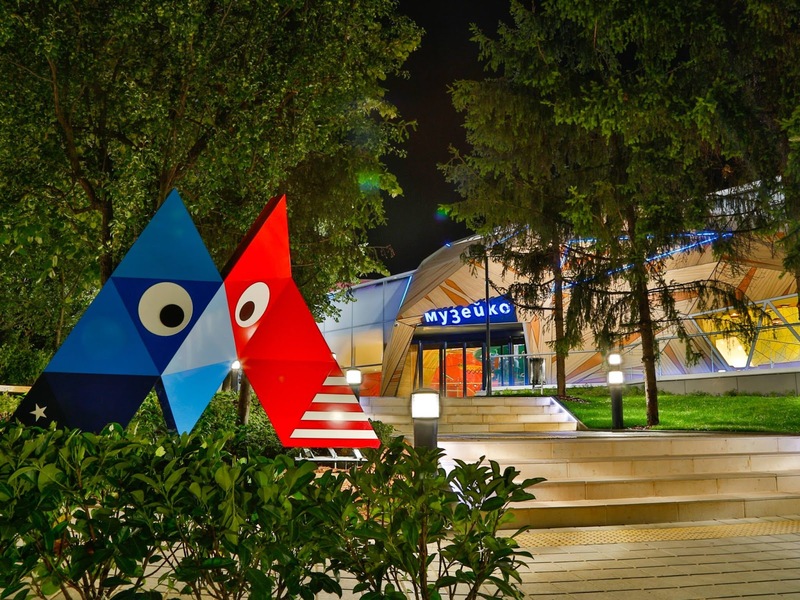 The Peabody Essex Museum often collaborates with artists and exhibitions that thrive between disciplines and intersections of art, culture, and creativity, and we want our audiences to come away with more questions than answers. This is definitely the case for Strandbeest. We want to incite curiosity about the Theo’s dream for the Strandbeests and walk away with an understanding that storytelling, science, art and engineering can comingle. We hope audiences connect their own experience to the interdisciplinary practices these Beests are birthed out of, including evolution, innovation, science and technology. 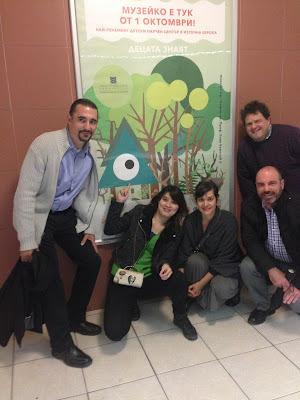 We also want to foster an open-ended and active dialogue among audiences, Theo, and the Beests. Theo inspires audiences to dream and imagine, even to question accepted boundaries between the living and the inanimate. His open-source approach to sharing his ideas serves as a means of reproduction for Strandbeests—others can make new generations of them. Theo talks frequently about how Strandbeests “infect” the minds of makers -- this is something we hope happens to our audiences. We want visitors to be infected and continue to think about Theo and his work for years to come. 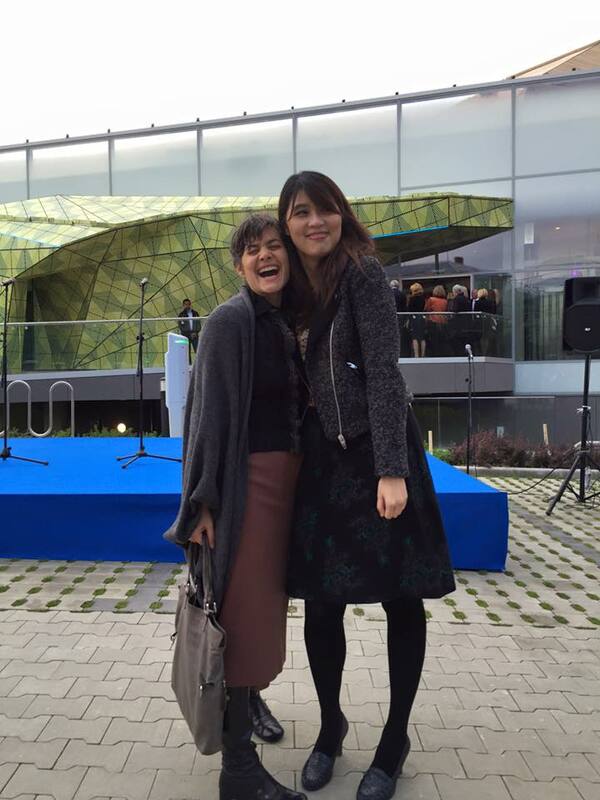 Many thanks to Emily for sharing some of the background and process behind the Strandbeest exhibition! 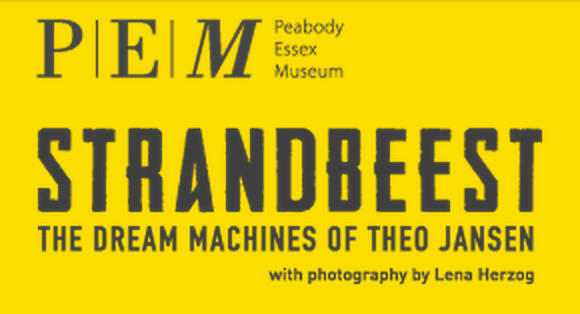 If you'd like to find out more about Strandbeest: The Dream Machines of Theo Jansen, just click on over to the Peabody Essex Museum website.